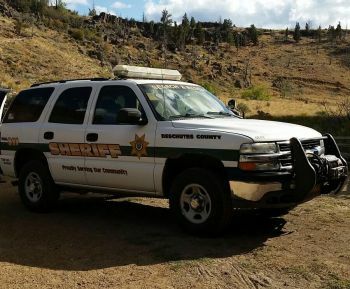 TERREBONNE, OR -- A man fell to his death, at Smith Rock, just before 8 a.m. Tuesday. Witnesses told Sheriff’s deputies the man was alone when he went up the Misery Ridge Trail. They reported hearing him yell before he fell from the top of the trail. Emergency crews say the man was deceased when they got to him and an air ambulance headed to the scene was called off. Initial reports indicated the man fell 100' but investigators say it appears to have been approximately 200'. They believe it was an accident and say he was not actively engaged in climbing at the time but was equipped with a harness, rope and other gear. Due to the difficult terrain, a dozen members of the Sheriff's Office Search and Rescue helped bring his body out of the state park. The victim’s name has not been released. UPDATE: The victim has been identified as 20-year-old Alex Reed of Bend. In a Facebook post, the Bend Rock Gym says he was a regular at their facility and his family is planning a celebration of life service for Saturday.